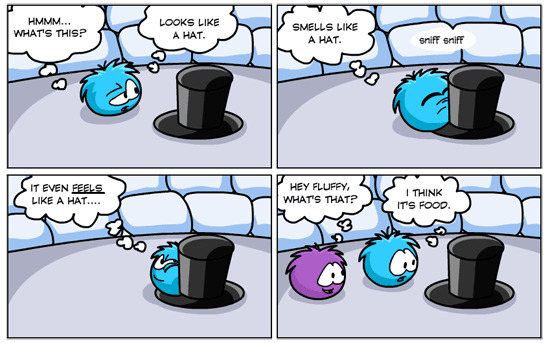 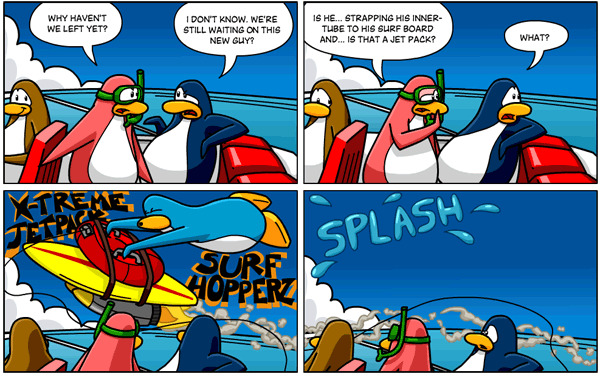 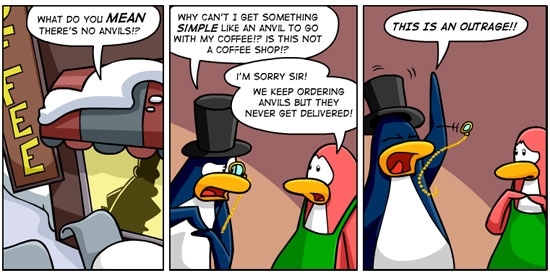 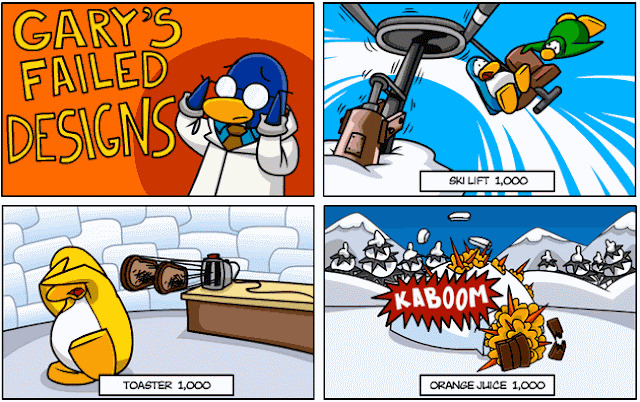 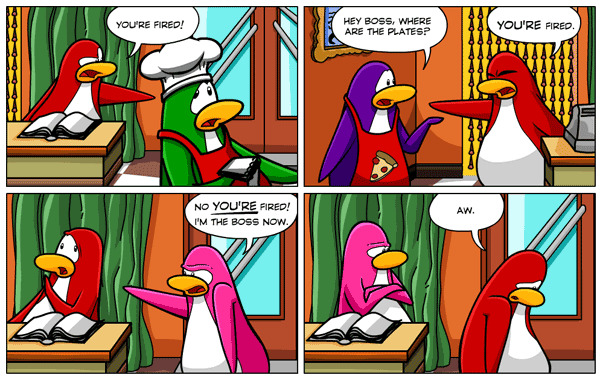 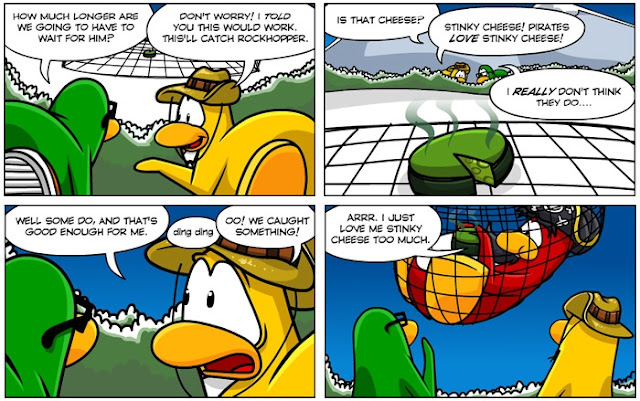 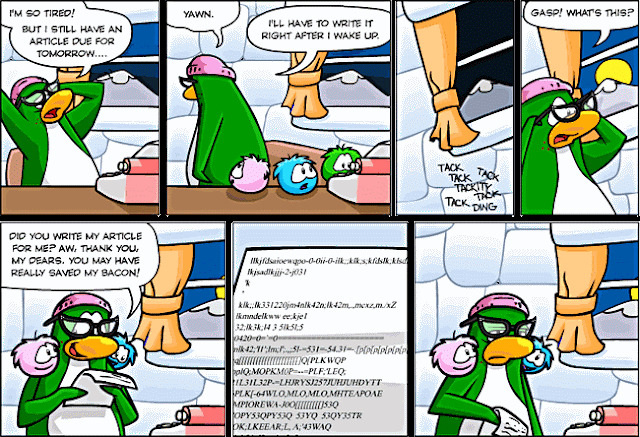 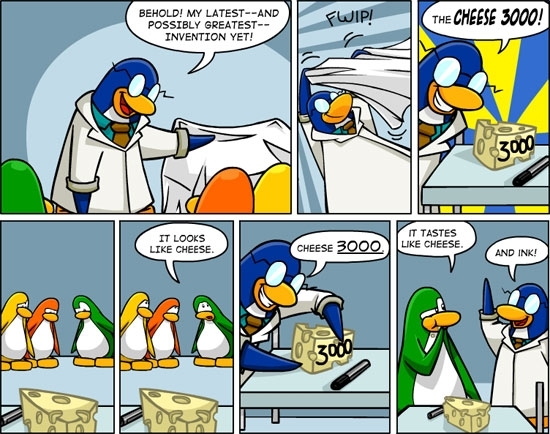 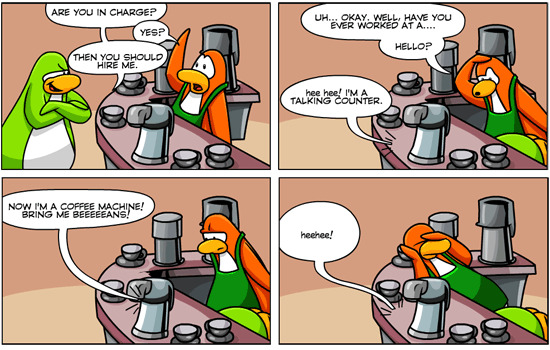 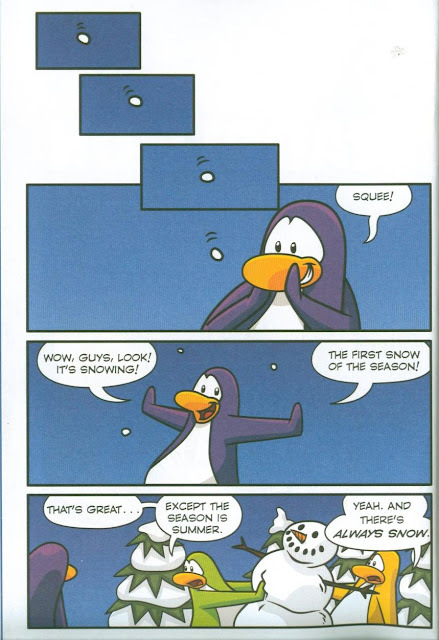 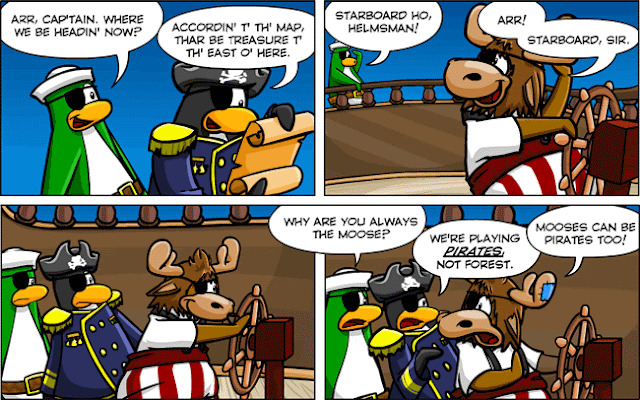 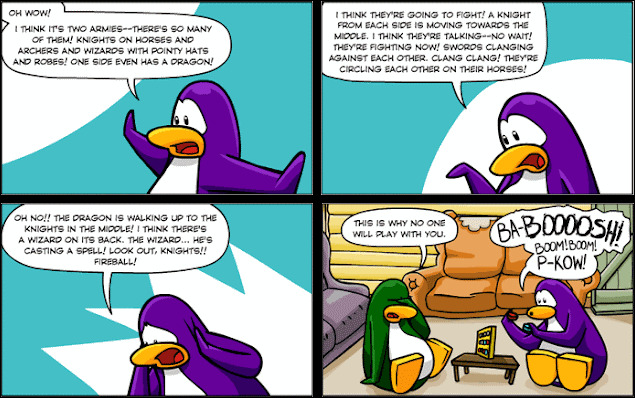 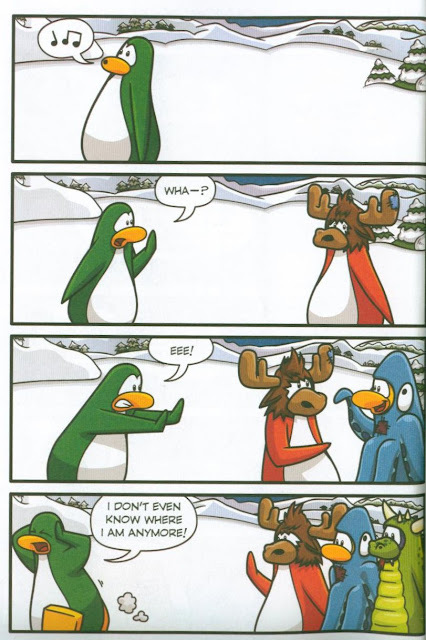 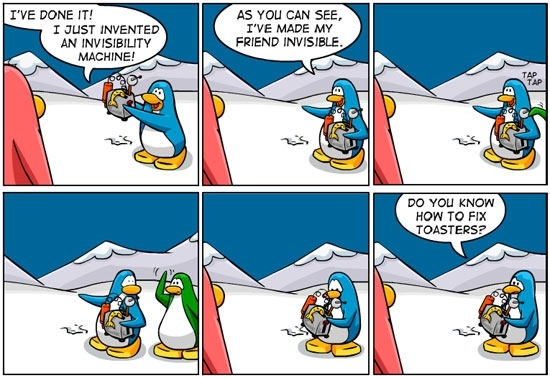 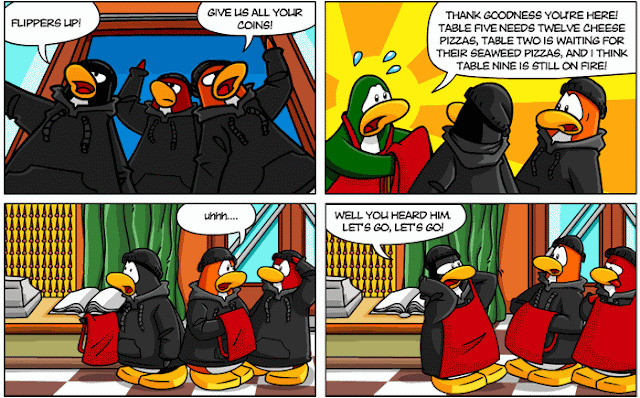 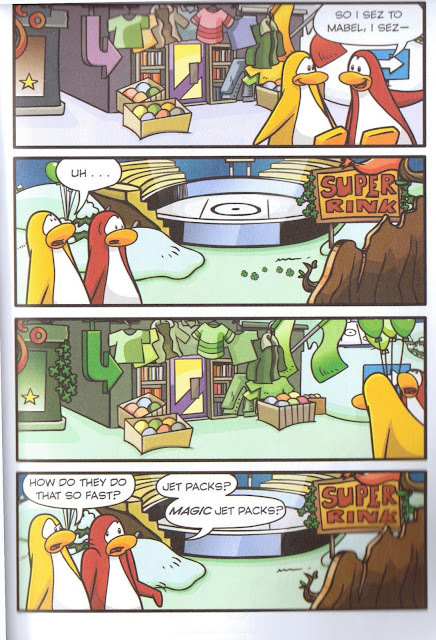 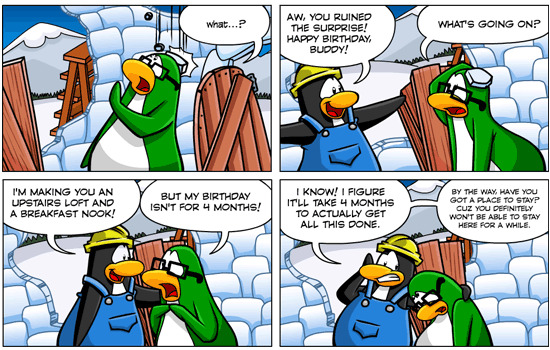 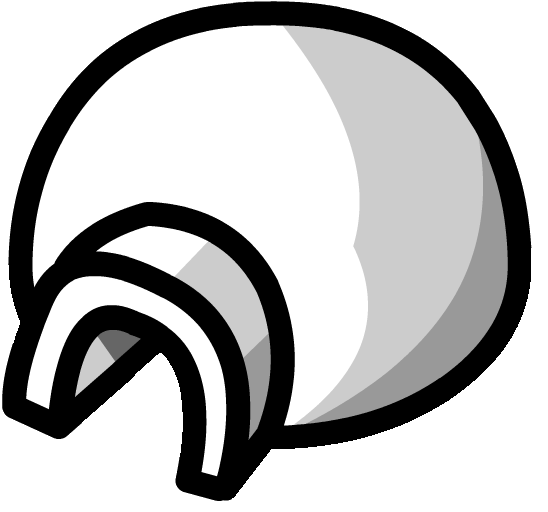 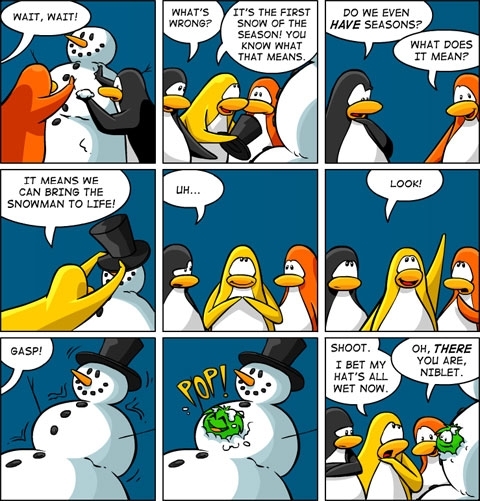 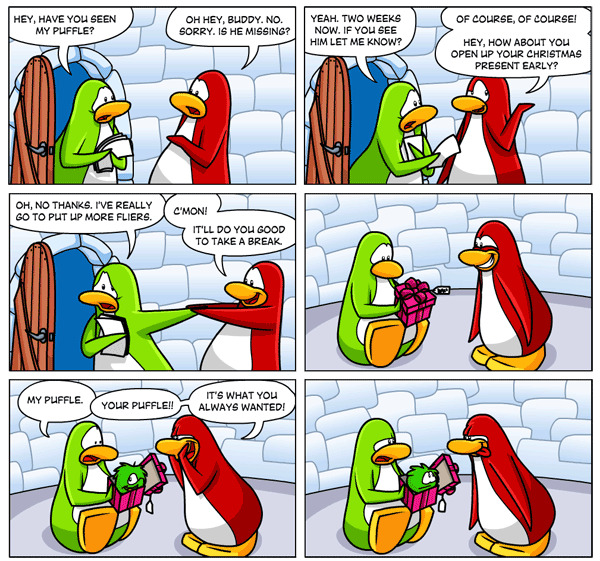 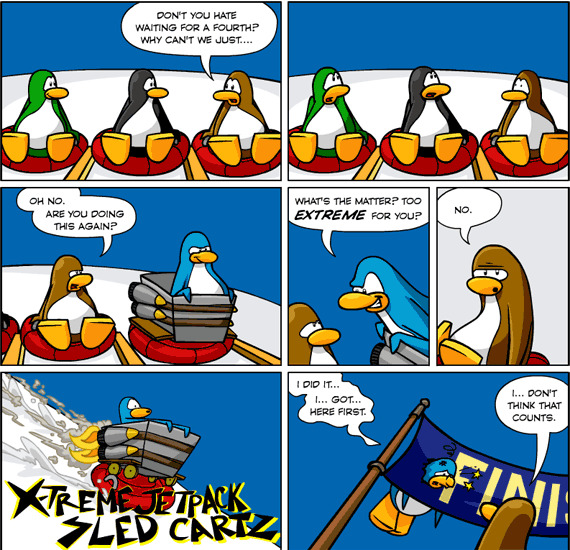 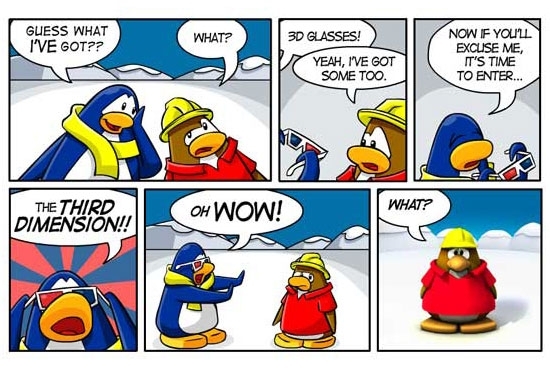 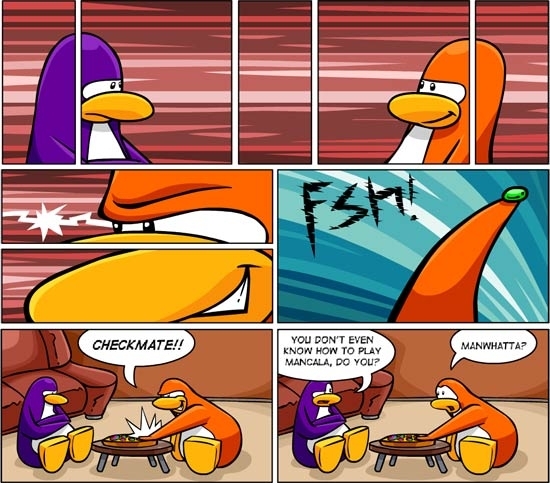 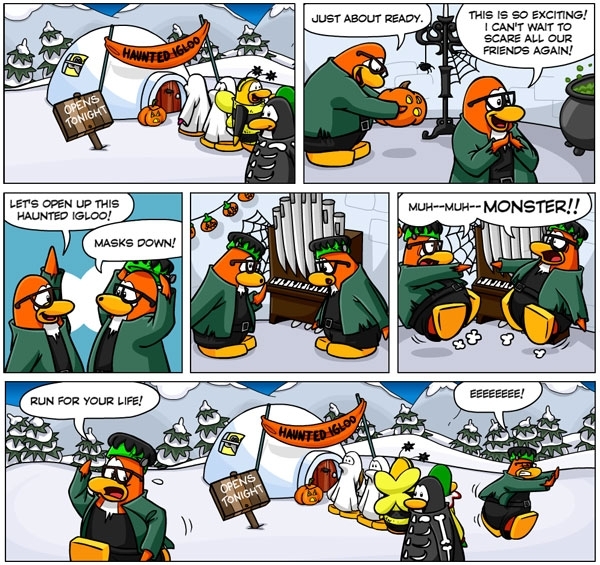 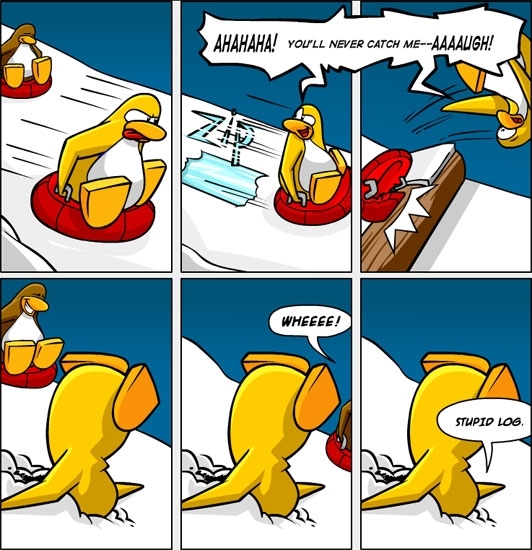 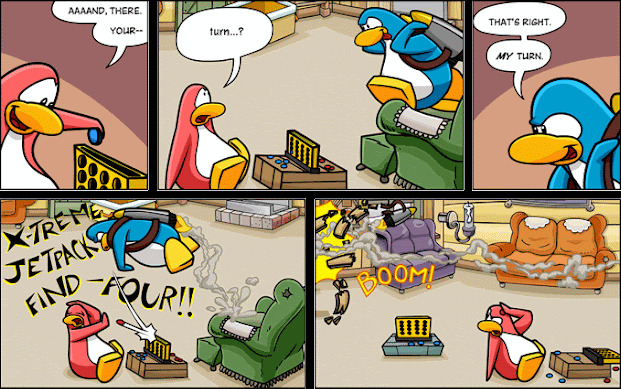 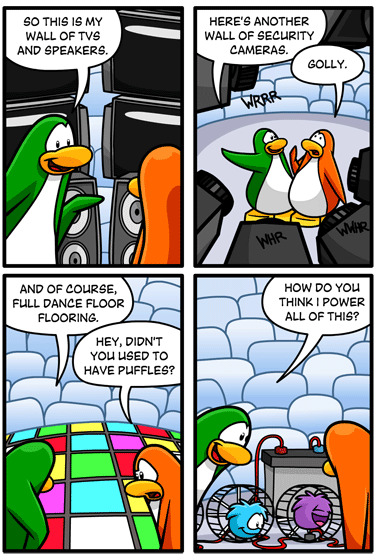 Here is a collection of Club Penguin Comics, mostly designed and created by former moderator Screenhog from 2005-2007. 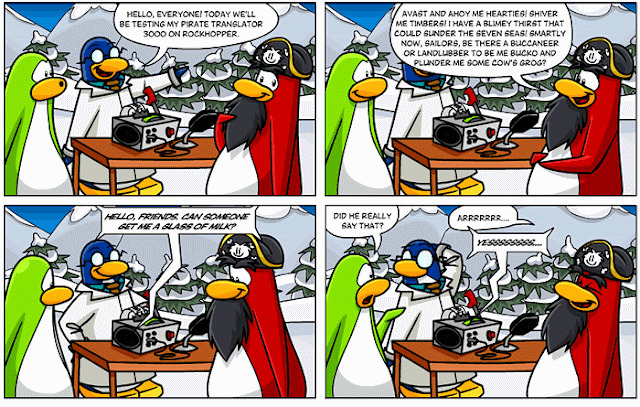 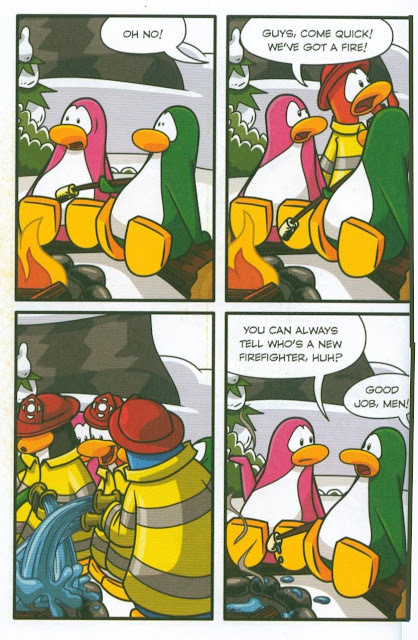 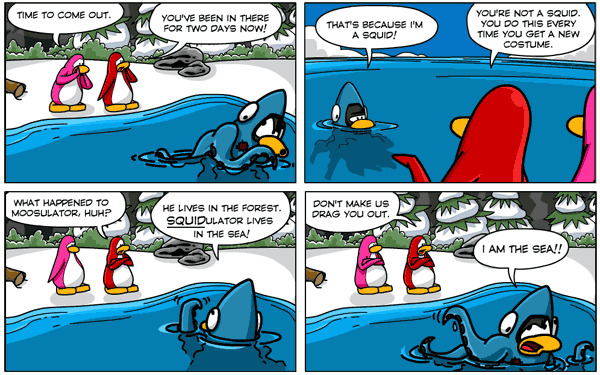 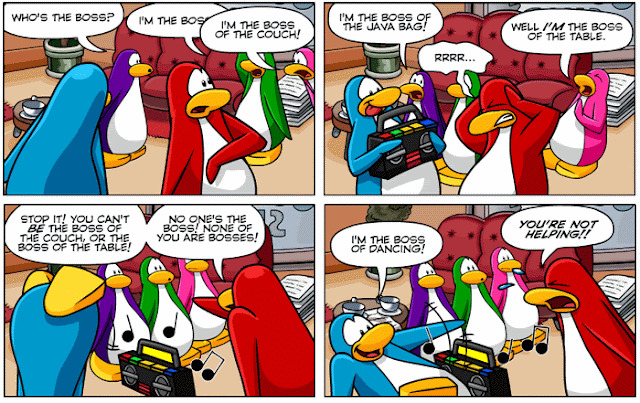 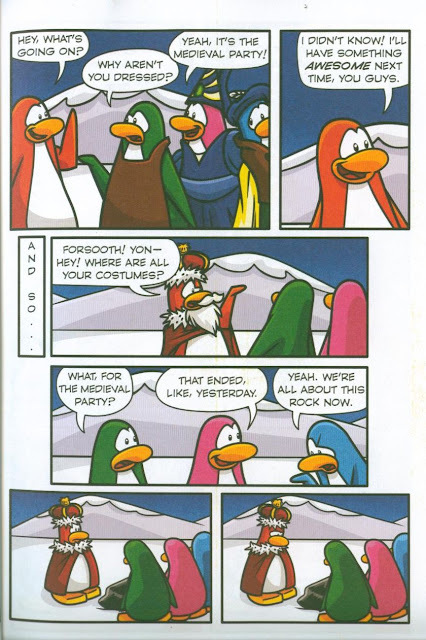 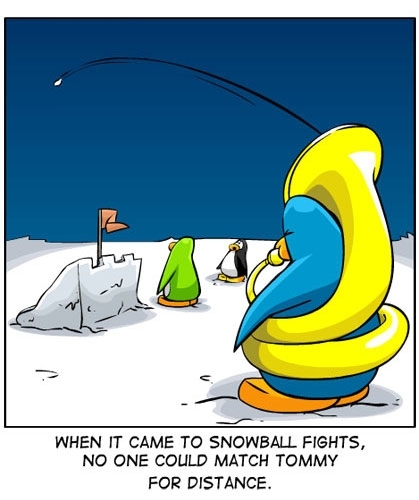 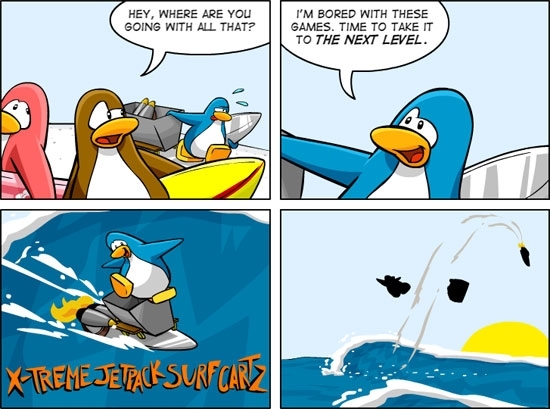 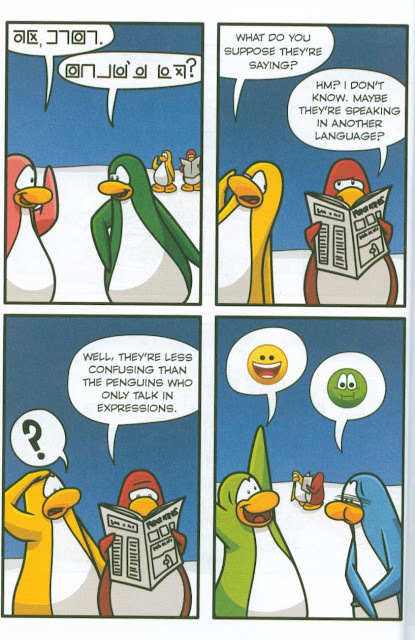 The next comics are from various Club Penguin books, and have been scanned in through a computer, so the quality may not be desirable, but I hope you still enjoy them. 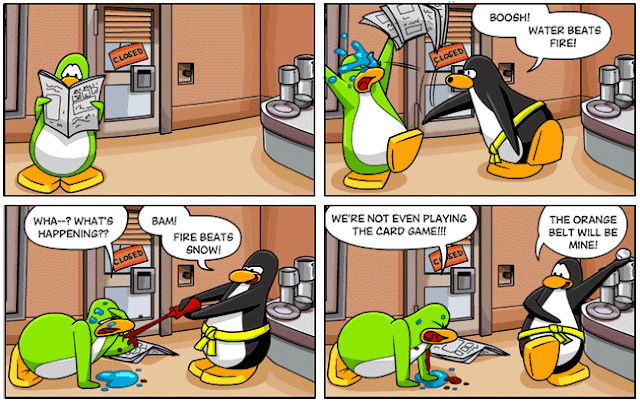 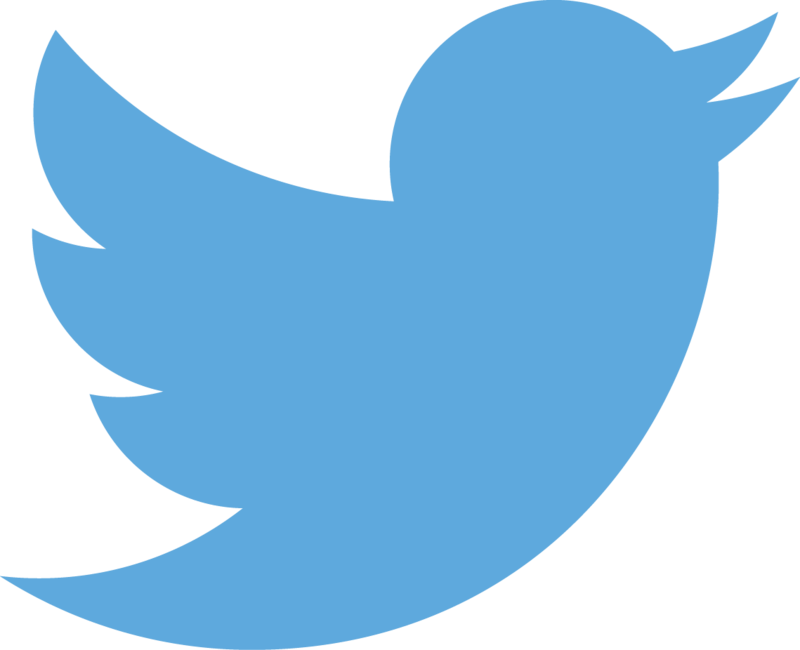 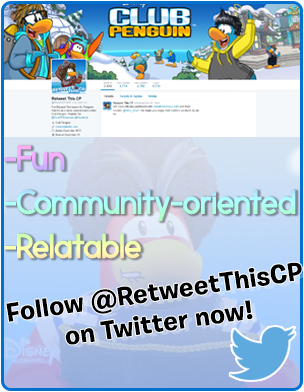 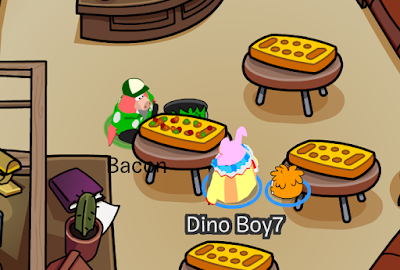 If you liked this, you'll love Funny Banned From Club Penguin Pictures!